It can be heart breaking. It can be very challenging. It can be straightforward. In all cases, having a lawyer who will stand up and fight for your rights is vitally important. We will stand up and fight for your rights. Dads often report to us there is injustice in the system. Relocation by the mother of the children is a good example. Misdirected, manufactured and fabricated allegations of child abuse, domestic violence, substances misuse, addictions and mental health are other good examples. In such cases having a lawyer who will stand up and fight for your rights can make all the difference. And this is why clients tell us they use the services of our firm. We fight for their rights. We use our legal knowledge and expertise to guide our clients through the family law system. Our mission is to provide our clients with excellent legal advice and representation. We provide the legal advice and representation to empower our clients to manage the challenges that place them and their children at risk. If your matter goes to Court we can stand up and fight for your rights. Clients commonly report to us they are experiencing difficulties in their communications with their former partner or his/her lawyer; with the Child Support Agency; with Centrelink; with the Australian Taxation Office; with the Police; or with the Family Law Court. We can contact them on your behalf and advocate for your interests. We can help you prepare for meetings with them. We can accompany you to your meetings with them. There are many services within the community that are available to assist our clients as they work through the issues arising from a relationship breakdown. Clients can benefit from these services, professionals and programmes. Through our trusted referral network we are able to put you in touch with the appropriate professional or programme provider when such specialised assistance is required. 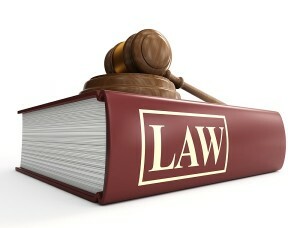 Often the Family Court will have ordered a client to complete a course or attend a specific program. By using our firm’s resources we can help to gain the support you need and when you need it. It has been proven that this can make all the difference. Clients regularly need help with information about family payments, child support and housing assistance. Sometimes a client or a member of the family will require specialised assistance with substance misuse, an addiction, a mental health issue, mediation, or financial services. We aim to provide our services to make a difference to the lives of parents for the benefit of their children and families. We understand that each client’s case is different so we focus on the individual and his circumstances and needs. At O’Sullivan Legal we do what we say will do. We communicate with our clients in a timely manner so they are fully informed at all times and thus placed to make the best decisions for themselves and their family. We are open to all parents who need our help to manage and overcome their family law challenges. We welcome individuals from all backgrounds and cultures. We operate with respectfulness, providing a non-judgemental environment, fostering respect for all.